Offered Precision Electrical Control Panels are the cabinets which incorporate various electrical components so as to control the motors as well as several other equipments. 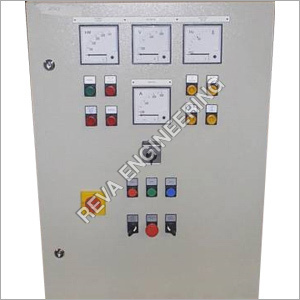 These flat and vertical panels are known as the control or monitoring instruments. Functional as the enclosed units, these are the parts of the system which users can easily access. Offered products can be found in production lines or factories so as to monitor & control machines. These are also applicable for ships, aircraft, nuclear power plants and mainframe computers. Provided Precision Electrical Control Panels are featured with safety measures and insure the protection of all electrical systems. Featured with many parts such as cables, bus-bars, MCB (Miniature Circuit Breakers), MCCB (Mould Case Circuit Breaker), ELCB (Earth Leakage Circuit Breaker) etc. Suited for all functional areas such as motor control, power distribution, safety and more. Insure best and accurate power distribution.